Some questions seem to be eternal ones. Typically, they involve choices between competing views that are so obviously debatable, with good points to be made either way and strong, often passionate proponents ready to vigorously argue either side, that they’re just never going to be resolved to everyone’s satisfaction. Think Beatles versus Stones. Apple versus Microsoft. da Vinci versus Michelangelo. Star Wars versus Star Trek. Einstein versus Newton. The Gettysburg Address versus President Trump’s Twitter feed. You get the idea? So, is cone versus basket filter one of them? This is a question I’m ill-suited to resolve, because the niceties of coffee brewer technology are lost on me. Obviously, there is a difference between the basket and cone approaches. One directs the water flow through coffee grounds that are configured to end in a fine point, and the other doesn’t. The difference in approach and design apparently is so significant that, when you go to buy coffee from one of those high-end coffee snob shops, the barista will ask you whether you have a basket or cone filter coffee brewer. In short, the cone versus basket debate even affects how they grind the coffee for you. Why? Beats me! But I sure as heck want to get the coffee ground in a way that is most suitable for the battered, aging coffee machine we’ve got at home — one of the basket-filtered variety. I raise the potentially volatile basket versus cone question because we’re thinking of replacing our coffee pot with a new one. In the past we’ve had both cone and basket design machines, and to be honest I really haven’t noticed a marked difference in the quality of the coffee they produce, because my coffee taste buds just aren’t that nuanced. But now we’re being asked to definitively choose, again — like being exiled to a desert island and being told that you can only listen to the Beatles or the Stones while you’re there — and I want us to make a good, reasonably educated choice. And presumably one design isn’t definitively better than the other, because manufacturers keep churning out machines with both designs, leaving people like me in a quandary on this question that evidently involves significant judgment and taste. 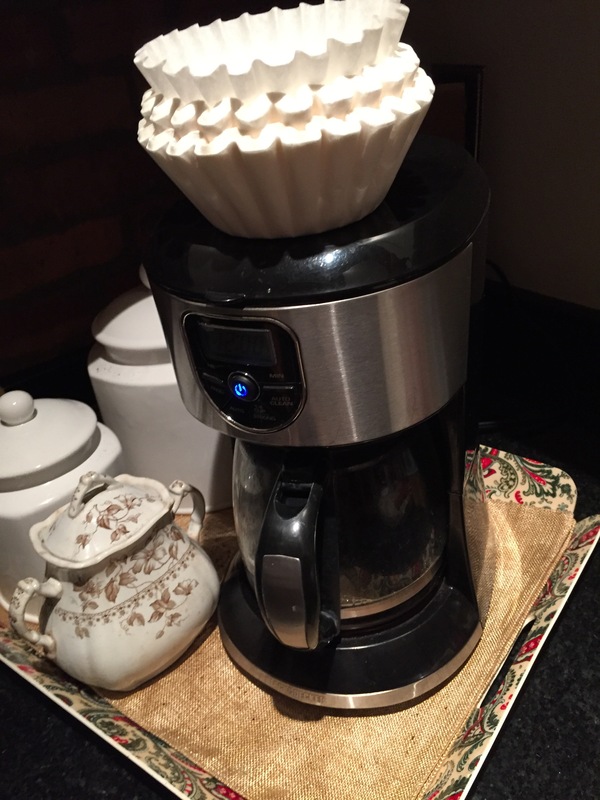 Can somebody out there who is knowledgeable about the topic and pays attention to their coffee let me know the competing views on the seminal cone versus basket filter issue? Simply put: why should I care?